One of the most time consuming tasks for a teacher is prepping material for the week ahead. 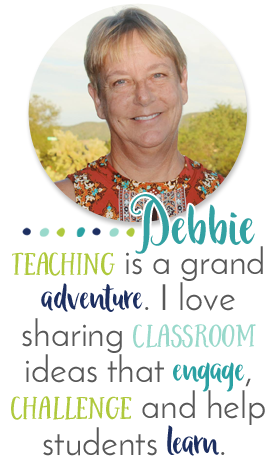 Many teachers have five to ten literacy centers to prepare and set up each week! That's a lot of prep time. 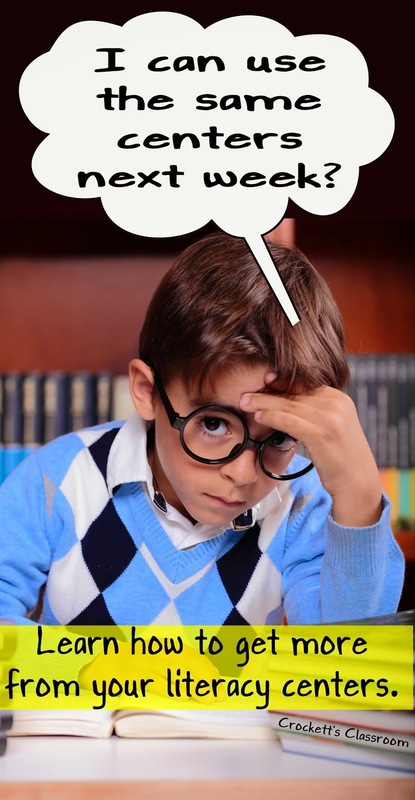 What if you could prepare one literacy center, make small changes and then use it for several weeks. 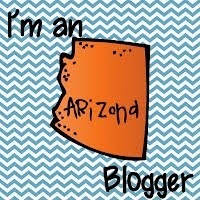 I'm going to take one activity, prep it and then see how many different ways students can use it in a literacy center. I'll start with a packet from my store called Suffix Skaters, adding -ed and -ing. But any word sorting activity would work. 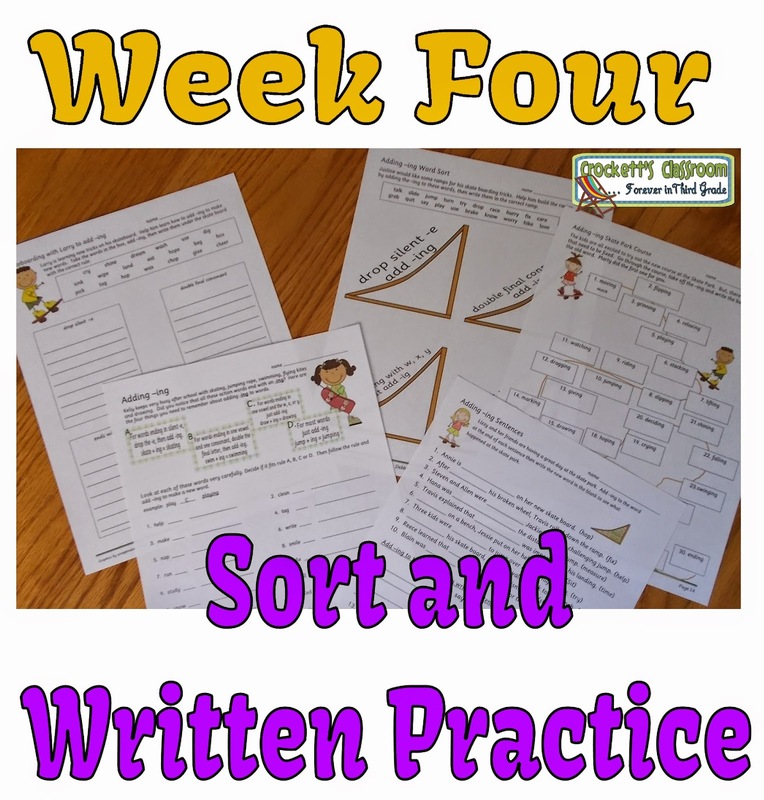 The packet has a sorting activity, written practice sheets and a game. Week One: Sorting words to add the suffix -ing. There are 28 small word cards for the sort. Students read the rules on the sort mat and sort the cards according to how the -ing would be added to the word. 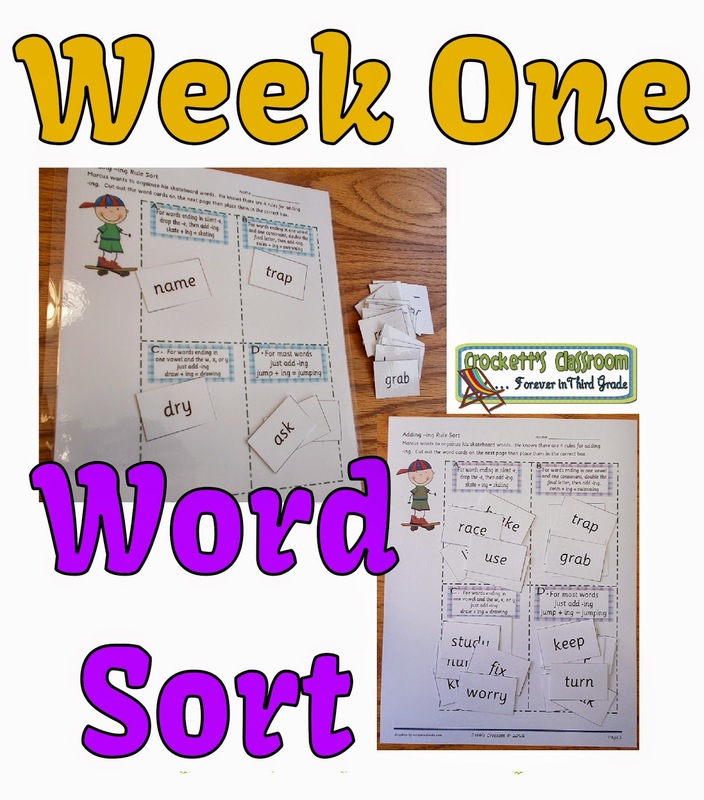 For the first week it's a good idea for students to sort the words several times. They can do the sort with a partner, and after a little practice they can try a timed or speed sort. Doing multiple sorts can easily take 20 minutes. If your center time is longer you can have them write the words with the -ing added. 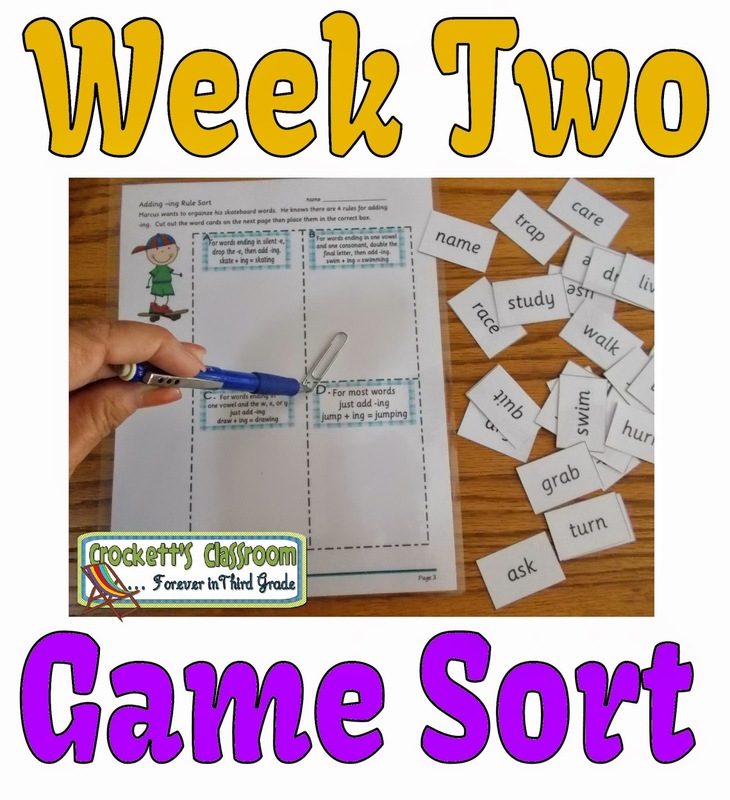 Week Two: Game Sort with -ing words. 2 to 4 students can play the game. Use the sort mat as a game spinner. A pencil and paper clip make a quick and easy spinner. Students spread the word cards out, face up, so every one can see them. The first player spins and then has to find a word that matches that rule. When they find a word they say the word and spell it with the -ing added. If they spell it correctly they get to keep the word. If they spell it incorrectly the card has to be set back with the other cards. Continue taking turns spinning and spelling until all the words have been chosen. Game version 2- Pass out the cards to the players. Player one spins. If they have a word for that rule they spell it with the -ing added and take it out of their hand. If they spell it incorrectly it has to stay in their hand. The first player to empty his/her hand is the winner. 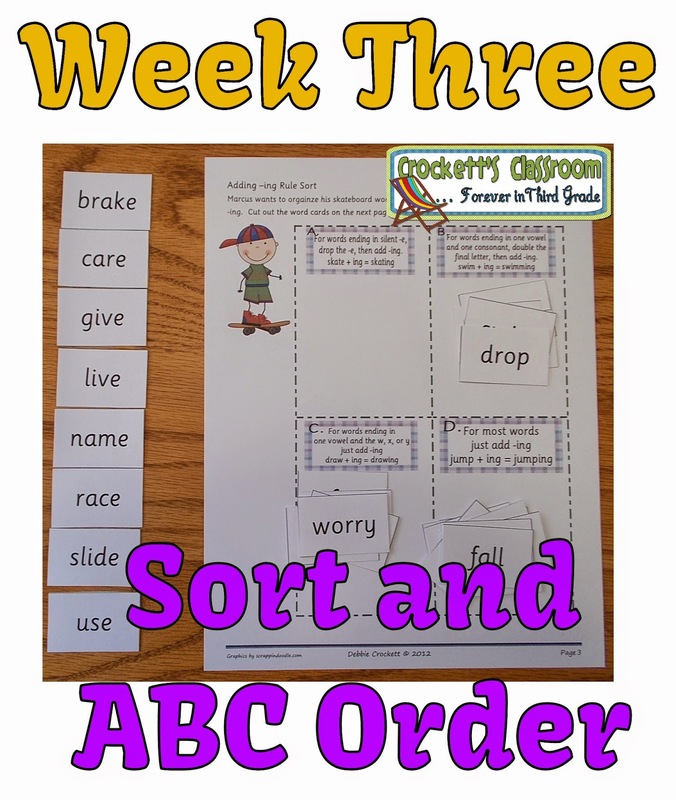 Week Three: Sort and ABC orde. The students should be very familiar with these words and the -ing rules. Have them do the sort again, either with the cards or as a written sort. Then have them take the words from each category and put them in ABC order. If they have time, they can write them, with the -ing added in ABC order. For more of a challenge have them put all 28 words in ABC order! Week Four: This week can wrap up the skill of adding -ing to words. Students can start with the sort again and then complete any of the written practice sheets from the packet. There are 4 to choose from. There is also a challenging page where students have to take a word with the -ing and change it back into the base word. There you go! One set of 28 cards, one sort mat and 5 optional practice sheets will see you through 4 weeks of literacy center prep! For the next 4 weeks you can do the same thing with the -ed cards and sort mat! 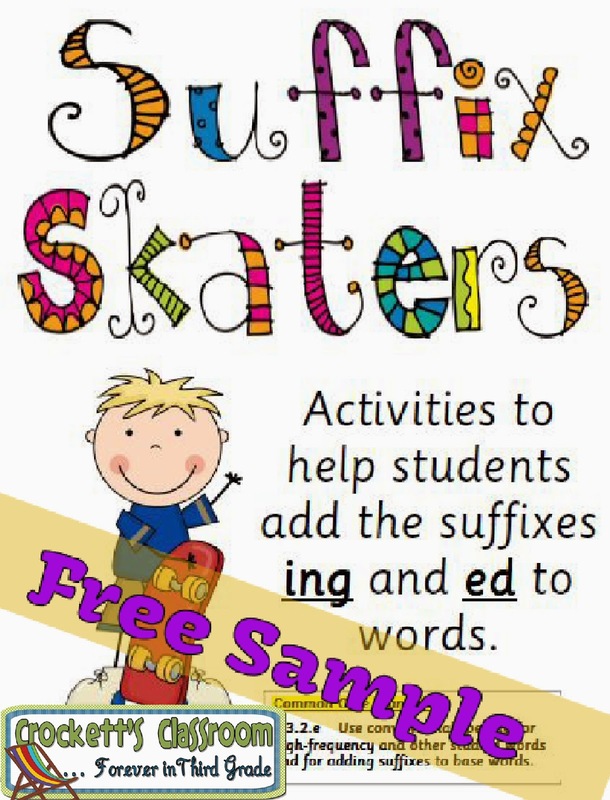 You can purchase the entire Suffix Skaters, Adding -ing and -ed from my TPT store. Or, if you'd like to try a free sample, click here to download.